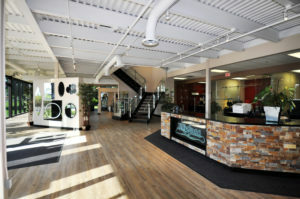 K-W Glass was incorporated in 1989 by skilled and certified architectural glass and metal mechanics. Their dedication to quality and craftsmanship is the foundation the company was formed on and is still adhered to today in all their projects. We have grown and followed trends through the years. There is no job too small or big for our skilled fabricators and installers. Come visit our 28,000 sq. ft. facility, with a 3,500 sq. ft. showroom and view all the possibilities for showers, mirrors, cabinet glass and more, or create your own ideas. Our trained staff will guide you through your project to make the most of your glass purchase.